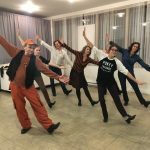 Interested in taking a tap dancing class downtown Sutton? 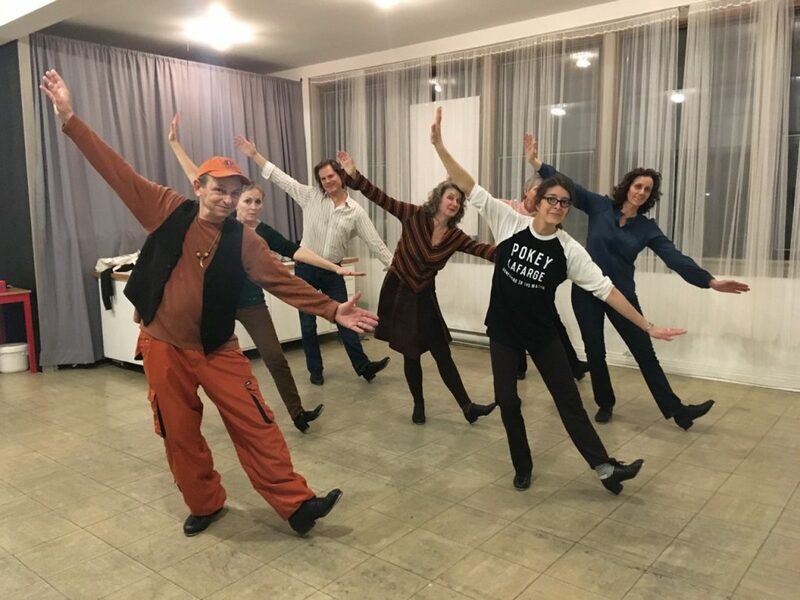 This past fall, my husband Wayne and I started teaching a tap dancing class. Our style is American rhythm tap. We were both taught in very unconventional ways. Wayne was fortunate to have learned from Eddy Brown, who was the shadow dancer for Bill Robinson (aka Mr. Bo Jangles, who starred in several Shirley Temple movies). Eddy was self-taught, he would memorize the rhythms from a vinyl Bo Jangles record and then recreate the sounds with his feet until it sounded exactly like the record. This way he ended up developing his own style. Wayne learned from Eddy at some woman’s apartment in San Francisco, where they’d roll up the carpets and dance alongside a bottle of brandy and some corn chips. I was so fortunate to have learned from Wayne to quickly come up with an act for a 4-month contract at the Wintergarten in Berlin. Developing a teaching method together has been very interesting. I think with my background in gymnastics and acrobatics, my approach is more structured while Wayne has a more casual way of teaching the steps. Hopefully we create a combination that helps all the students in the class. All individuals have different ways of learning and sometimes approaching the same step from different angles just makes it click. We are both primarily performers, so jumping into the teaching world has been a challenge. It has made us realize just how much we know and the joy of sharing that knowledge is very rewarding. Learning the basics and how to teach them is an art in itself. We tip our hat to all the teachers out there! 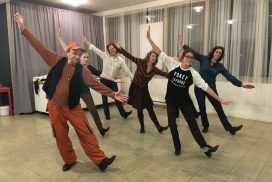 Tap is a dance form that looks easy, but when one digs in and starts to learn, one quickly realizes that it is really not so easy. It takes a lot of practice. Each class builds up muscle memory so missing a few classes when just beginning makes it harder to catch up. On the other hand, once one starts to get it, it is a little like riding a bicycle. It has been pure pleasure to watch the faces of several very dedicated students light up when they start to get it. 19… Come and give it a try! For info, please call 450-538-1816.